Congratulations ROYCE TURNER for scoring a Hole-in-one! He used a 7-iron to ace the 9th hole on Jan 12th, 2014. Congratulations DEB POWELL for scoring a Hole-In-One on the 9th hole. She used a 9 iron while playing in the Club Championship on Sept 21st, 2012. 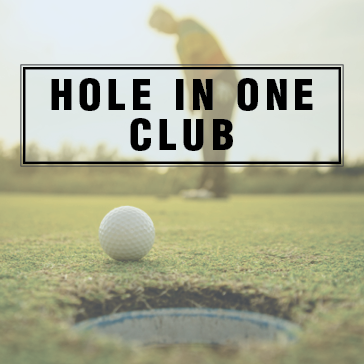 Congratulations AJALA COLLINS for scoring a Hole-in-one! He used a PW to ace the 7th hole on May 30th, 2012. Congratulations JESSE HUFFMAN for scoring a Hole-in-one! He used a 7-iron to ace the 7th hole on May 19th, 2012. Congratulations PAT WEYER for scoring a Hole-In-One on the 7th hole. She used a 7 wood while playing in the Wednesday Ladies League on March 7th, 2012. Congratulations BETH GALLANT on scoring a Hole-In-One! She used a 5-wood to ace the 7th hole on January 29th, 2012. Congratulations LLOYD NEWMAN for scoring a Hole-in-one! He used a 7-iron to ace the 5th hole on October 23rd, 2011. Congratulations SHAUN LEWIS for scoring a Hole-in-one! He scored an ace on the par 4 – 4th hole on July 29th, 2011. Do you have a personal accomplishment related to golf that you would like to have recognized on our website? Hole-in-one? Double Eagle? Shoot your age? Career low round? Course record? Let us know about your accomplishment and we will help spread the word.